Drones have become a huge part of the life of many modern people. Even those that have not had the chance to fly one have seen the great work on the internet and aerial shots for the advertisements, TV programs and films they watch on a regular basis. New technologies are constantly making drones better than anyone could have ever imagined and the DJI Phantom 4 is a great example of where this next level of technology has taken us. This new release has a better design, additional flight options and a special system to avoid objects should they get in the way of your drones flight path. 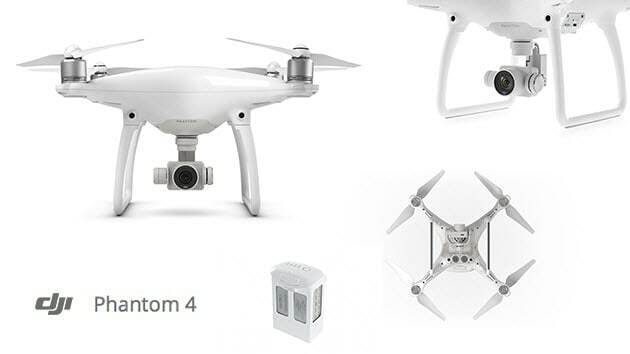 The Phantom 4 is similar to the previous version in terms of looks. It is white in color and plastic with sturdy legs to rest on. Two sensors are located on the front and back of the drone and more underneath and to the sides. The camera begins to record on takeoff allowing the drone to find a homing position when ready to return home. The camera hangs below the drone with gimbals that keep it sturdy whatever conditions it is flown in. The arms each have lights so that you can find it easily when in flight. Underneath the shell of the Phantom 4 is the battery which is high density at 5,870Ah. This allows it to be flown for up to half an hour. The Phantom 4 has a high performance system to avoid objects. The front, back and sides all have sensors which are able to detect potential hazards from around 98 feet with or not they are in front of the drone or behind it. An example of where this would be useful is flying it through a doorway indoors as it is able to go through the doorway without being in danger of crashing into the door frame. Even at 31 miles an hour the avoidance system still works. They do switch off however when you switch to sports mode with increased speed capabilities of 40 miles an hour. One of the great features enjoyed by Phantom 4 owners is 'draw'. This allows users to draw a line on their screen for their drone to follow at the same altitude. You can keep the camera in a forward position or leave it free to move such as in follow mode. The sensors in flight not only detect people in the way but also other objects including cars, bikes and trees. 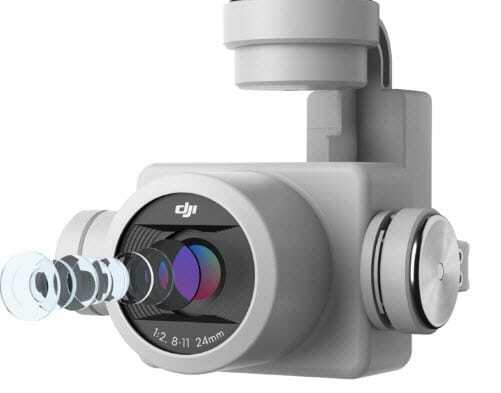 The camera locks to its subject continually while the drone fly's as set out by the user. The TapFly function allows you to get the drone to go in the direction of where you tapped, by using the TapFly backwards you can make it fly in the opposite direction all while the avoidance system works (except in sports mode). Return to home allows you to get the drone to return to its setting off point easily as it records the route and even chooses the one that is best for the conditions it is being flown in to avoid damage. The Phantom 4 plus comes with a built in screen which has a display screen of 5.5 inches and 1080p. The remote is able to connect to the drone from up to 4.3 miles away and can stream full HD to the display screen. The remote battery can last for up to 5 hours before it needs to be charged. 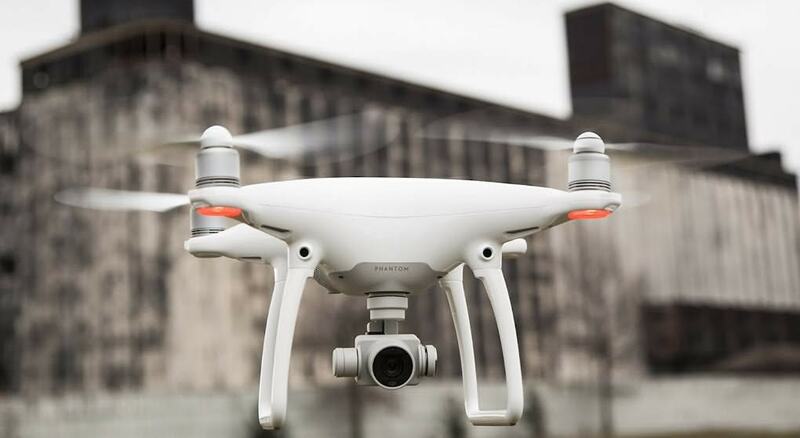 The Phantom 4 has been upgraded to include a 20 megapixel sensor which has 12 dynamic range stops which allows for more detailed shots even in intense light. This improves the performance from its predecessor significantly. The mechanical shutter stops the distortion and makes for smoother footage. The 4K video at 60 fps capabilities increase the quality overall giving users better results. The Phantom 4 literally does everything you could need it to. It flies well in all kinds of conditions, reaches great speeds to capture sports play and even avoids objects that would otherwise give users and their drones quite an unhappy ending. As the Phantom 4 is so easy to fly it means that users can concentrate on their footage. With the follow me mode users can literally go hands free and still get great results.